Sanchez, who actually has 13 home runs, missed 21 games with a biceps strain earlier this season. He said he had met Morrison, but that the two had only a passing relationship. Morrison said he was not specifically pushing for his own inclusion in the Derby, which will also include Sanchez’s teammate Aaron Judge, the major league home run leader this season. 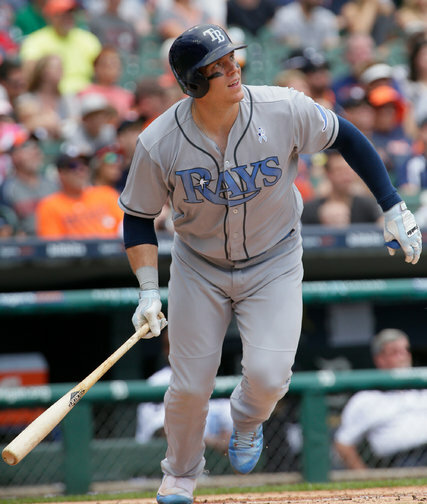 Tampa Bay’s Logan Morrison had 24 homers going into Wednesday’s games. “It’s not even about that,” Morrison said. “I think Mike Moustakas should be there.” He was referring to the Kansas City Royals third baseman who also had 24 home runs going into Wednesday’s games.